Every workplace has its perks and disadvantages. From free coffee and flexible hours, to bad lighting and loads of distractions; entrepreneurs need to weigh the benefits and the weaknesses of where their new business could potentially call home. Should you rent office space, or work from home? Maybe try hopping around between coffee shops and libraries? Perhaps coworking is an option? If you’re like most entrepreneurs, solopreneurs, busy professionals, and new business founders we know, your number one priority is getting stuff done, getting it done well, and getting it done as fast as possible. So, when you are choosing your new workspace, the ability to “get stuff done” should factor into your decision making. Where can you be the most productive? 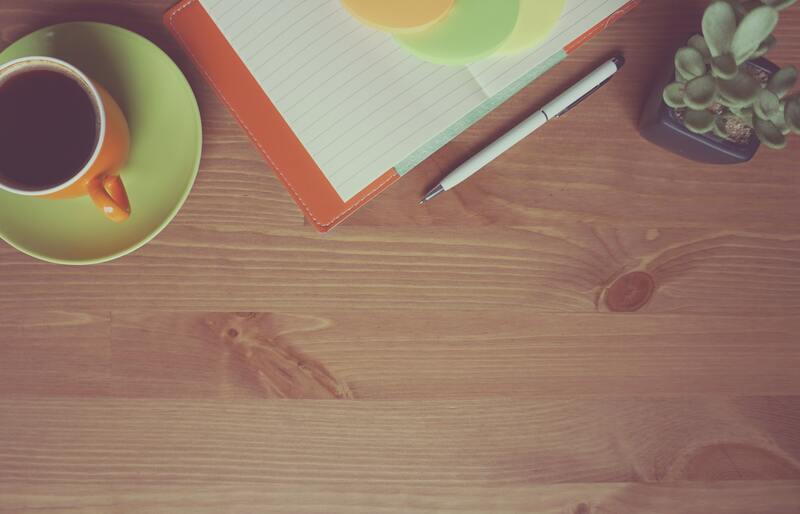 What do you need to be productive in a work space? If you’re like most entrepreneurs, solopreneurs, busy professionals and new business founders we know, your number one priority is getting stuff done, getting it done well, and getting it done as fast as possible. 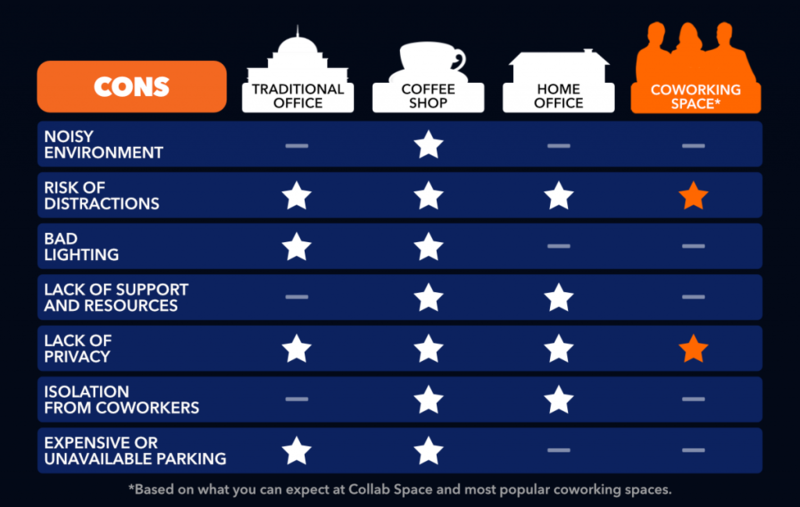 We know we might be biased, being a coworking space ourselves (shameless plug – click here for more info on our coworking spaces in Ottawa and Kanata), so we found some independent research and stats to help you decide for yourself. According to Trend Hunter, 4% of employees consider socializing to be a significant office distraction. Coffee gives employee’s brains a boost, enhancing cognitive performance, concentration, focused attention, and problem-solving. Working remotely could lead to a 13% increase in productivity over office dwellers. Workers who spend 60-80% of their time working away from an office have the highest levels of workplace engagement. By 2020, predictions indicate that employee retention will rise by 10% for businesses who encourage a culture based on choosing your work style. Employees who work from home may be less productive, with 19% of workers stating distractions such as TV, computer, and phone to be an issue, 18% claiming family and friends to be a distraction, and 16% saying that they feel less motivated due to loneliness. However, 19% say that working from home is more convenient for having quick access to coffee, tea, lunch, and washrooms. Coworking spaces have a positive impact on workers, with 64% of entrepreneurs being more productive and completing tasks on time, 68% claiming they are more focused, 70% saying they felt healthier outside of a traditional office, and 90% of entrepreneurs claiming higher levels of confidence. Research shows that 46% of workers feel more productive with access to digital tools, such as the Internet, email, and cell phones. A survey by FlexJobs shows that only 7% of workers prefer to work in an office to be the most productive. The same study concluded that 97% of workers thought that work flexibility would give them a higher quality of life, and 87% believe it would lower their stress. 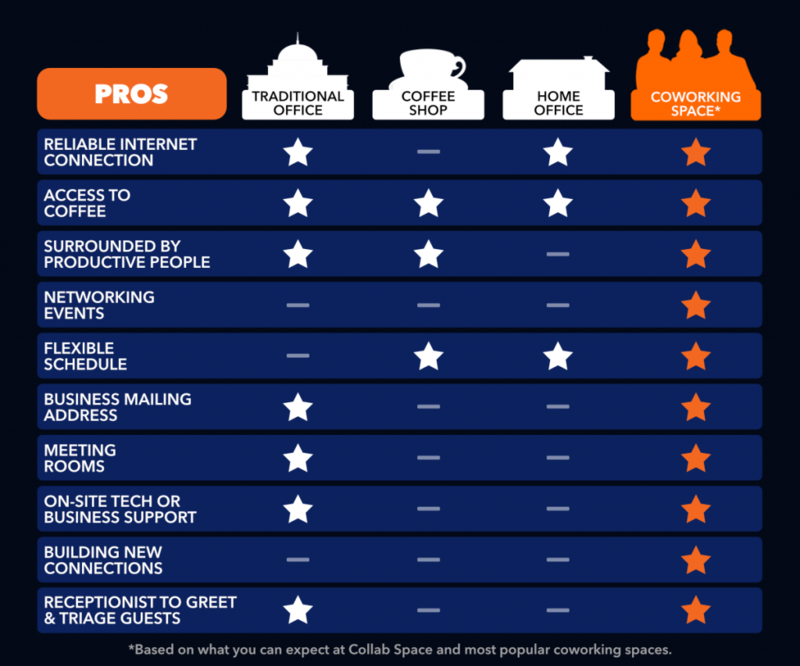 Coworking spaces help form new connections, with 43% of survey respondents reported on meeting up to three helpful acquaintances within a two-month span. Working from a coworking space might mean more money in your pocket, with 42% of coworkers reporting on earning a higher income since joining a coworking space. Studies show that 68% of workers find the lighting in their traditional office environment to be worth complaining about, with eye strain and headaches as a common complaint. Pssst… did we miss an awesome stat or article on how workplaces and environments can impact employee productivity? Tweet it to us so we can keep our article updated! OK, we know that was a LOT to take in, so we made a handy infographic comparison chart to help break it down for you! Hey, we said we might be biased, but we also think the data speaks for itself. In general, coworking spaces provide much more value to members than any traditional office space, coffee shop, or home office. The best ones also embed you in an inspiring, driven, connected, like-minded community and gives you access to mentors, resources, and start-up support. Coworking spaces are infamous for causing life and business-changing collisions – but you can’t be in the right place at the right time if the right people aren’t also there. So, if you have your regular work space located in a place that attracts the movers and shakers in the entrepreneur ecosystem, you already have an advantage just by showing up to work. You can’t be in the right place at the right time if the right people aren’t also there. It’s been forecasted that the number of global coworking spaces will grow to just over 30,000 by 2022 and membership (people choosing coworking spaces as their preferred place to grow and operate their business), will grow even faster than the number of spaces, reaching 5.1 million people by 2022. So, coworking is not new and it is definitely not going away. It should absolutely be something entrepreneurs, solopreneurs, professionals and start-ups should consider when hunting for a place their business can call home.